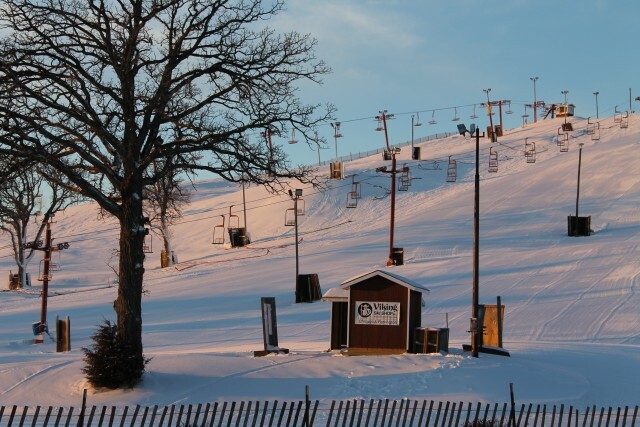 Vail Resorts announced Tuesday it had acquired Wilmot Mountain, the corporation’s third urban ski area in the Midwest, located between Chicago and Milwaukee. Shocked by the acquisition, one skier makes her plea to the new owners: Don’t go changin’ Chicagoland’s favorite ski hill. Tuesday evening, I was driving my '96 Accord back home from race practice at Crested Butte Mountain Resort when my friend Jamie Sitter told me that Wilmot Mountain had been bought by Vail Resorts. We had both grown up ski racing there, myself with the Chicago Metropolitan Ski Council and Jamie with Wilmot's alpine team, and now are collegiate racers at Western State in Gunnison. I was shocked by the news. I had to check and see if it was true. "Vail plans to renovate and update the entire ski area, with new terrain parks, a new instruction program, expanding dining options, race programs and improvements to snowmaking, parking and access,” wrote Jason Blevins of the Denver Post. When I read this, I thought no more sticker-covered, barely working doubles, no Pizza Barn pizzas delivered to the parking lot, no more snowmakers in bright yellow rain suits, and no more inexpensive ski trips just a hop, skip, and a jump off the highway from Chicago. Wilmot was founded in 1938 by Walter Stopa Sr. and stayed in the family until Tuesday when Vail Resorts snagged the ski area for an undisclosed price. Contrary to popular belief, the 200-foot glacial moraine is not a dump. It does have remnants of an old race track around the base, and was one of the first ski areas to create a snowmaking system as well as night skiing. Student lift tickets are only $30. Helmut Teichnerper, the founder of Wilmot's ski school, indirectly taught half a million people to ski. Even Matt Sterbenz, the founder of 4FRNT skis, called Wilmot home. And now? Vail. Bought. Wilmot. What will happen? What will change with skiing in Chicagoland? Will the quad become a high speed? Will Vail plant more trees? Will they deem lunch-tray sledding or one-ski skiing dangerous? Will they update the tile in the lodge or renovate Iron Kettle? Will they change the mozzarella stick recipe? Or, God forbid, the cookie recipe? I watched Wilmot change as I grew up. The smoking ban in the Bar Room was amazing. I was at the tubing hill opening weekend. I cried when one of the big oak trees had to be torn out. I reminisced with my parents about the many times dirt had been pushed around to add vertical feet to the mountain. Even when the 'No Parking' signs went up in front of the quad, I was fine. I moved on and kept skiing. Ultimately, it’s the people who make skiing great. Now that Wilmot is no longer family owned and the general manager has changed, I wonder—will I still be able to say hi to Gary at ski school and have the, “I remember you when you were this big, how long has it been?” conversation? Will Eric the ski patroller still be around to practice Spanish with me on the chairlift rides? Will my parents still be in the back of the parking lot with the motor home tailgating and skiing every weekend? Change has to happen eventually, I know. But if the people who’ve been there forever leave, if the culture changes, I’m done. Wilmot must keep its identity, even if the Stopa family doesn’t own it anymore. I understand that Vail dumps a bucket load of money into the ski areas they acquire and will make skiing out West more doable for Chicagoans. It has its positives. Maybe if I go to visit my family over winter break next year, I'll ski Wilmot and be pleasantly surprised. Vail Resorts, I beg of you, please don't forget about the memories, the people, and all the turns that have been made at Wilmot Mountain—I'm just a broke, college ski racer, but Wilmot made me who I am.